Lily May Newland 86, of Neptune, NJ passed away on Wednesday September 5, 2018 at Jersey Shore University Medical Center. She was a loving person that helped anyone in need. Lily was preceded in death by her parents Sally and John Watson and her husband Warren Newland. 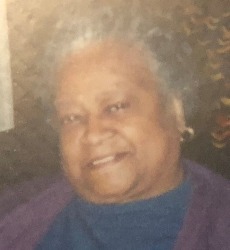 Those left to cherish her memory include her son Larry Watson; her surviving sister Lucille Cochran as well as a host of nieces, nephews, her grandchildren and great-grandchildren.